Alcohol and addiction were a huge part of Wilfred McCallum’s story. But now his story has changed, thanks to a Regina organization. 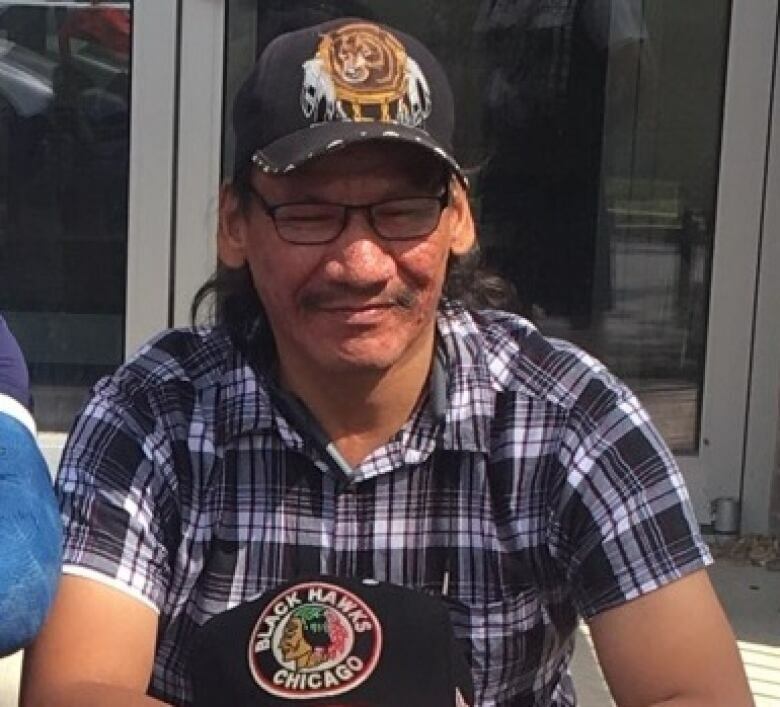 The 47- year-old Cree man is originally from the Muscowpetung First Nation in Saskatchewan, but he has spent the majority of his life in Regina. McCallum knows what it’s like to live on the streets. His addiction to alcohol led to a long journey over the last decade. “It took me down to being homeless. It took me to eating out of dumpsters. drinking water out of sloughs. Picking cans, picking butts, that’s where my addiction took me,” McCallum said. McCallum said that at times he would drink mouthwash, hand sanitizer or even rubbing alcohol if he was really desperate for a drink. In 2017 McCallum was diagnosed with cirrhosis of the liver. It pushed him to stop drinking. He says it was one of the hardest things he ever had to do. McCallum has now been sober for nearly a year. He credits his sobriety to Regina’s Phoenix Residency Society, where he now works and volunteers several times a week doing janitorial work. “People see me differently now compared to how I was a year ago — all dirty, scrubby and smelly — that is not me no more. I don’t ever want to go back to that way again,” McCallum said. Phoenix is a non-profit organization that provides rehabilitation services to homeless people with psychiatric disorders, concurrent disorders such as psychiatric problems and substance abuse, or those with cognitive disabilities. McCallum said that at the height of his addiction he would sleep in parks, under cars, near vents and buildings. Anywhere it was warm in the winter and any place it was safe in the summer. He said he and his small circle of friends would have a weekly schedule for the “best” dumpsters to walk to throughout the city. McCallum said alcohol was a constant in his home during his childhood. Seeing his parents drink was normal. Eventually he was placed in foster care. He was moved several times before his 18th birthday. McCallum said he never finished school and saw drinking as a way to escape the sense of abandonment and loneliness he felt as a young adult. Phoenix Residence is not an Indigenous-focused organization, but their clients are 90 per cent Indigenous. Earlier this year they hired Andy Bellegarde, a Cree man from the Little Black Bear First Nation, as the Indigenous Cultural Liaison. The facility offers a drop-in centre, a kitchen, a laundromat and now men’s prayer circles every Wednesday with Bellegarde. “It makes it easier when they want to learn. He wants to learn his ways. It takes a community to come together like Phoenix to provide those services.” says Bellegarde. “It’s very important for people to have culture. The spirituality is so crucial to their well-being.” The feedback we get from people about Andy is incredible,” said Carole Eaton, Phoenix’s executive director. McCallum said that Bellegarde has instilled a sense of identity in him and is teaching him cultural things he had no knowledge about before. “Andy is a good guy, very uplifting. He saved my life that guy. Showed me who I was as an Native man. I am proud of that,” McCallu said. Bellegarde showed McCallum how to perform a smudge, a form of Indigenous purification and cleansing, for the first time in his life and explained to McCallum the meaning and purpose behind the act. “I have never smudged before in my life, like when I need to smudge with sage. I now know how to go about getting it, that I didn’t know at all,” McCallum said. Bellegarde has taken McCallum and others to sweats, round dances, sage and tea pickings. They also went to a rain dance, where McCallum participate in a fast — considered a sacred ceremonial sacrifice — another first for him. McCallum said Bellegarde’s influence on his life has been huge.